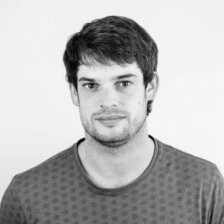 Dr. Dimitri De Jonghe is a full-stack blockchain developer with a passion for the internet of value. After finishing his PhD on applied machine learning to micro-electronics, he co-founded 2 startups in the machine-learning space. Currently, Dimitri is working as a lead developer on BigchainDB, merging big data with blockchain. He is also a co-chair of the W3C Interledger community, a protocol for connecting blockchains. Here he works on the core protocol and co-developed crypto-conditions, a verifiable alternative to smart contracts.